10 Best Online Bachelor’s in Social Work Earn a degree in social work online! Social work provides an important link between individuals, families, or groups of people and resources to help them better cope, integrate with the community, or deal with other issues affecting their well being. While challenging, social work is a rewarding and ultimately necessary role that often involves both counseling, keeping tabs subjects in need, and interacting with larger organizations and community resources. While many social work positions require a masters in social work (MSW), bachelors in social work are an important first step. Below we’ve comprehensively surveyed online bachelors in social work programs, and have ranked the top 10 according to the following criteria. According to the Bureau of Labor Statistics, social work positions are expected to expand 19% from 2012-2022 (a rate much faster than the average expansion rate of all industries). This will result in over 100,000 new social work openings by 2022. The average salary for social workers is $44,200 per year. Academic Reputation (1/3): the relative ranking of the social work program’s parent institution according to other high profile rankings such as US News. Affordability (1/3): the estimated average out-of-state per credit hour tuition for the program. Student Satisfaction (1/3): average student satisfaction and review scores adjusted for number of reviews. Oregon State University offers a fully online bachelors degree in human development and family studies, a degree often seen as a great segue into graduate level social work programs, or social work-related positions. The program of study looks at human development across the lifespan in relation to a large number of environments: schools, neighborhoods, families, and workplaces. Students may further specialize their degree with an online minor offering, a few of which include sociology, public health, psychology, or leadership. Currently their program requires 180 credit hours to graduate. Oregon State University is a nationally ranked university according to US News. Colorado State University offers a fully online bachelors in human services degree, a degree which focuses on providing general knowledge for those seeking to enter service-centered roles in areas such as psychology, rehabilitation, social work, or family support. Topics covered in the program include human development, intervention methods, case management, and human services administration skills. Students may also specialize their degree with a large range of supplementary concentrations (from criminology to public administration). Colorado State University is a nationally ranked university according to US News. Pennsylvania State University’s World Campus offers a fully online bachelors of science in human development and family studies degree with an option in life span human services. The degree focuses on understanding changing dynamics of well-being throughout different life stages and within different family and community contexts, as well as how to effectively intervene in human services roles. The degree currently requires 120 credit hours to complete, and is offered with a number of optional certification paths. Pennsylvania State University is a top ranked national university according to US News. Western Kentucky University offers two fully online degrees in family and consumer studies: one focusing on child studies, and another focusing on family studies. The first offers information on the intellectual, emotional, social, and physical principles necessary for understanding and working with children in intervention settings. The second offers a broad-based curriculum meant to prepare graduates for family-centered intervention positions. Both options require 120 credit hours for graduation. Currently Western Kentucky University is currently a regionally ranked university according to US News. Central Michigan University offers a fully online bachelors of science degree with an option in community development. The degree is centered around preparing graduates for roles in which they can be service providers in their community, particularly community agencies and and non-profits. Flexibility granting options at Central Michigan University include prior experience credits, as well as the alternative credit project. The Alternative credit project affords new students access to a pool of low or no cost online courses that provide general education requirements. Central Michigan University is currently a nationally ranked university according to US News. The State University of New York offers both a BA and BS degree in hum an development through the OPEN SUNY online degree program. The bachelors of science degree requires 124 credit hours and draws on a number of disciplines: psychology, human biology, and anthropology. Asynchronous courses and prior learning assessments help to accelerate students’ time until degree. Experiential learning is also utilized, to connect students with working members of their field. Depending on the campus, State University of New York schools SUNY College of Technology at Delhi is currently a regionally ranked university according to US News. Arizona State University offers a fully online bachelors in community advocacy and social policy. The program of study focuses on advocacy strategies as well as comparing social service systems and policies. Students complete coursework in two sequences: first, the diversity/oppressed populations sequence, and second, the social problems and interventions sequence. The program of study requires 120 credit hours, 45 of which are upper level division courses. Arizona State University is a nationally ranked university according to US News. Brandman University offers a fully online bachelors of arts degree in social work. The degree is based in liberal arts instruction, though requires rigorous scientific study and over 400 on-site hours of supervised field work for graduation. Brandman University offers a unique competency-based approach to online education called My Path. My Path allows students to progress more quickly through areas of study in which they’ve demonstrated competency, while spending more time on areas they need to focus on. Brandman University is currently classified as a regional university by US News. Concordia University at St. Paul offers two online degrees related to social work: a bachelors of arts in family science, and a bachelors of arts in child development. For both degree programs courses are accelerated and presented in 7-week increments. The child development degree requires 42 credit hours for completion, while the bachelors in family studies requires 39. Both are technically degree completion programs, meant for students who have already obtained their general education credits elsewhere. Concoradia University in St. Paul is currently a regionally ranked university according to US News. Old Dominion University offers a fully online bachelors of science degree in human services through their ODU+ online degree platform. The degree is meant to prepare students for entry-level positions in community service organizations. Beginning in 2015, the degree will also offer an optional track towards becoming a certified substance abuse counselor. Currently the degree requires 120 credit hours as well as a 12-credit supervised internship process for graduation. 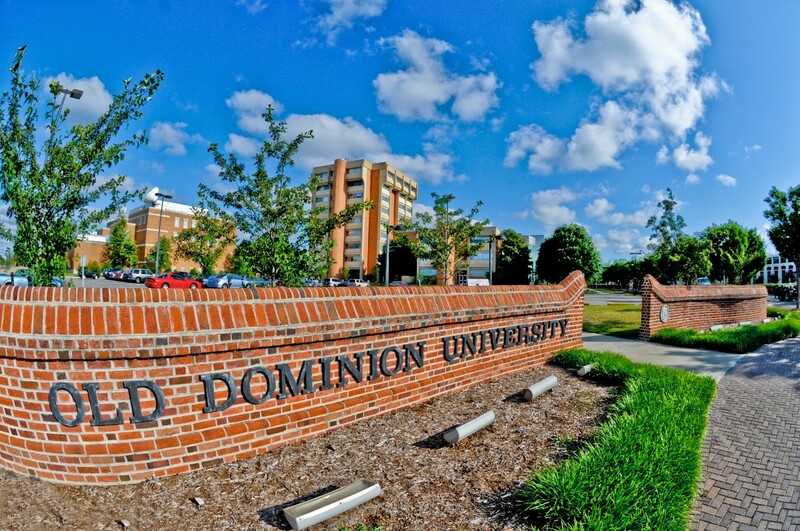 Old Dominion University is classified as a national university according to US News.